How do you make a biopic about an iconic musician without using his music? Well, for starters, you focus on the time in his life before he blew up. 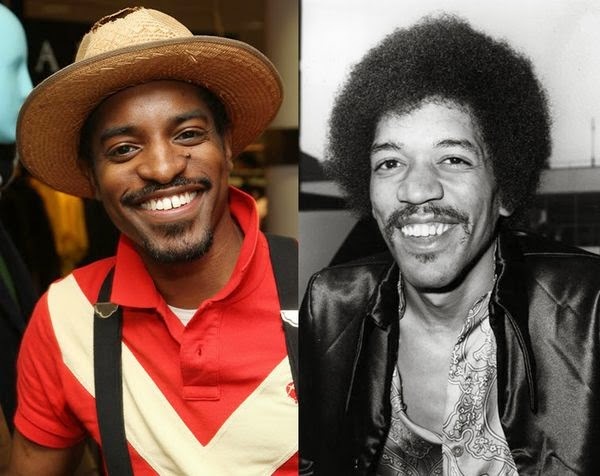 That’s what writer and director John Ridley was forced to do with his new film “Jimi: All Is by My Side,” which stars André Benjamin — better known as André 3000, the quirkier half of the hip-hop duo Outkast, as Hendrix. Initially, there were worries because Ridley, who won an Oscar for best adapted screenplay for “12 Years a Slave,” couldn’t secure the rights to Hendrix’s music; but early critics maintain it hasn’t hurt the movie, which follows Hendrix’s life in 1966 and 1967, right before he became a huge star in London. Hendrix’s estate refused to support the movie, hence the limited timeline. Still, Benjamin reportedly practiced guitar for six hours a day to get the part right. While music does abound throughout the narrative, with covers of Muddy Waters, the Beatles, and the Rolling Stones, this is not a movie about Hendrix and his relationship with music. If anything, its about Hendrix’s relationships with other people, specifically the women in his life. There were many, but here Ridley chooses to focus on [Linda] Keith, [Kathy] Etchingham, and a character named Ida (Ruth Negga), most likely based on real-life groupie Devon Wilson. Ridley plays up the link to Linda Keith, spending too much time setting up and exploring a wearyingly boring almost love-affair between her and Hendrix, and crediting her for influencing his style, his music, even the way he wore his hair To its credit, the movie is also unafraid of complicating its portrait of the artist by also presenting some of the (allegedly) unsavory elements of Hendrix’s personality. His image as a sensitive rock god is skewed with several scenes in which he is an insanely jealous, possessive, and abusive boyfriend toward Etchingham. And, very much mirroring the way Hendrix is written throughout, the film is relatively indifferent on Hendrix’s issues with women, or his issues with race, or even his issues with his own difficult background. It’s only fair to be curious about Benjamin’s acting. He doesn’t have a ton of credits to his name, but most notable among them is “Idlewild,” the 2006 movie-musical he did with Outkast partner Antwan “Big Boi” Patton. Snippets released so far seem to indicate that Benjamin appears to have markedly improved. “Jimi: All Is by My Side” comes out Sept. 26, toward the end of Outkast’s 40-plus festival reunion tour.